The most sites of each external link are written in only Japanese. Participants enjoy running and challenge their own potential. Beautiful Yonaha Maehama Beach offering the contrast of white sands and cobalt blue waters is regarded as one of the most beautiful beaches in East Asia. As the Opening of Beaches is held on the first Sunday of April, it starts to pray the safety of the sea. 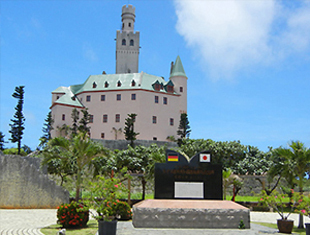 There are also live musical performances, treasure hunting, the game of flying island sandals and the Quiz game about Miyakojima. 3km swim, 155km bike and 42.195km run. with the extremely popular words "Waido" means "Go for it" in the Miyako dialect. From late April to early May, Carp Streamer Flying FEST is held. and kindergarten at Miyakojima city,fly in the sky. 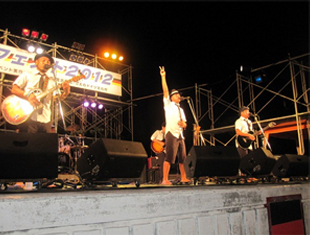 The event is held for two days at Maehama Beach. 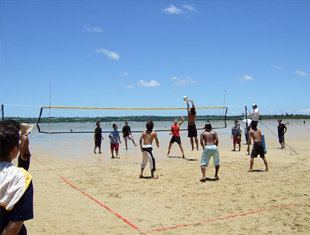 this event which is officially recognized by Japan Beach Volleyball Federation. Beach Volleyball. In addition, the evening scene, which is created by the contrast of the sea and the sky, can be enjoyable. The event is held to pray for a good haul and the safety of voyage to the God of the sea throughout a year and celebrated at ports in whole Okinawa. 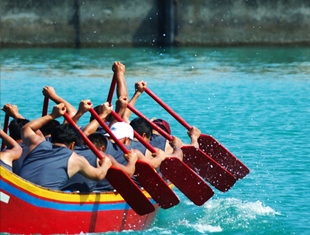 There is also Dragon Boat Racing. 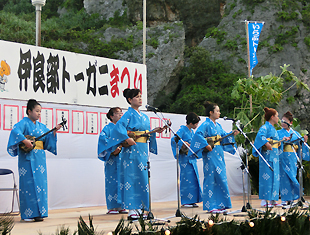 Due to Sho(gong) which is used at the event, it is said that the rainy season is over in Okinawa. The open –air music festival has been held at the special event space with full of tropical atmosphere since 2005. The artists and local young people agree about the purpose in which this festival brings real music to the children from the remote islands and give big dreams to the children through the music. There are a wide variety of exciting events such as night stalls, vehicle-free promenade, parades, great tug-of-war, and the Miss Miyako announcement. Sanitsu Beach Carnival is held every year in the vast tidal flat of Yonaha Bay (It is commonly known as "Sanitsu Beach"), Miyakojima City. 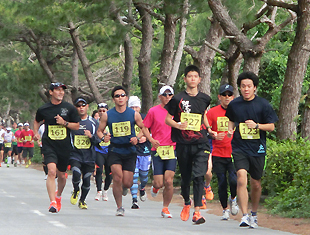 Each competition of the tournament has become very exciting and attractive both in and out of Miyakojima. 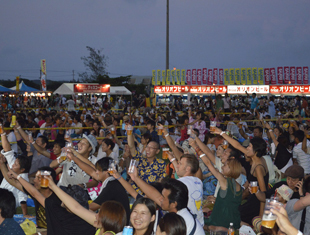 This very popular event has been organized by Orion Beer in Okinawa. The visitors can spend exciting night through the live musical performances. local products at the open markets, a bridal fair, food booths, live musical performances at the outside stage, shows by the entertainers, fireworks display, and more. The visitors can enjoy and feel full of “Danke”, which means “Thank you”, atmosphere from morning to night. Irabu Toogani is improvised a lyrical poetry, which is to express the affection of man and woman, was sung by a person called "Toogani" for the first time. The festival has been held in every year to preserve the traditional folk songs of this island and pass it on to the next generations. 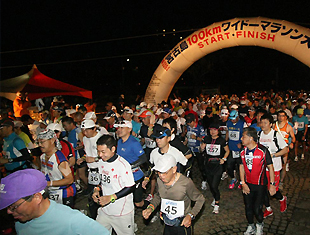 The marathon is held for the purpose of interchanging the friendship with the runners who are welcomed from the whole nation, the staff, and the volunteers. Moreover, the participants enjoy the abundant nature in Eco Island, Miyakojima. 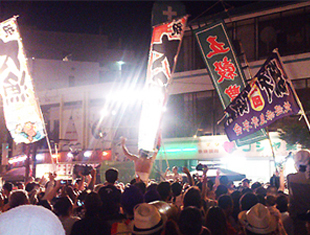 The festival is related to the Miyakojima's traditional culture that is called Kuichaa. It has been held for the purpose of passing the traditional dance to the next generations. There are about 1,200 participants who kick up the ground while singing and dancing. The endurance race is being held at Mehama Beach, which is being the starting point for the jet skiing competition. It is worth watching the spectacular race that can be seen the competitors splashing from white waves in the emerald green waters. An annual event is held in Ueno Germany culture village at the end of the year. 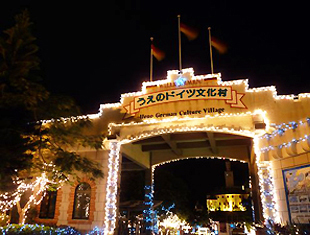 The whole village is decorated by beautiful illumination and created Christmas atmosphere. Copyright © 2015 Association of Miyakojima sightseeing All rights reserved.